Though Microsoft has tried its best to stick to its promise of replacing your laptop needs, it could not be considered as a complete replacement to your laptop. But it excellently covers your notebook and tablet needs. You can definitely consider buying it if you are okay with paying a little higher price. When it comes to smart devices, “Tablets” or “Tabs” are one of the popular and sought after choices of today’s generation. Tabs are very much like mobile devices. They are more convenient to use and capable of performing diverse functions of a smartphone. Also, they are more portable than a laptop or computer. Tablet devices have gone through various technological upgrades with time. They now come with combined features of a tablet and a laptop (also known as hybrid tablets). Microsoft has launched some of the best hybrid tablets in the market in the recent past. 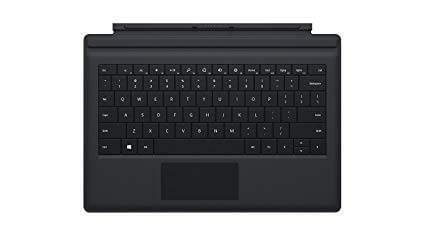 One such example is the Surface Pro series. After the successful launch of the first two versions, Microsoft launched the third version (Microsoft Surface Pro 3) in May 2014. Microsoft launched this product with the tagline – the tablet that can replace your laptop. It has definitely given its best to stand true to it by inserting some excellent features into the device. 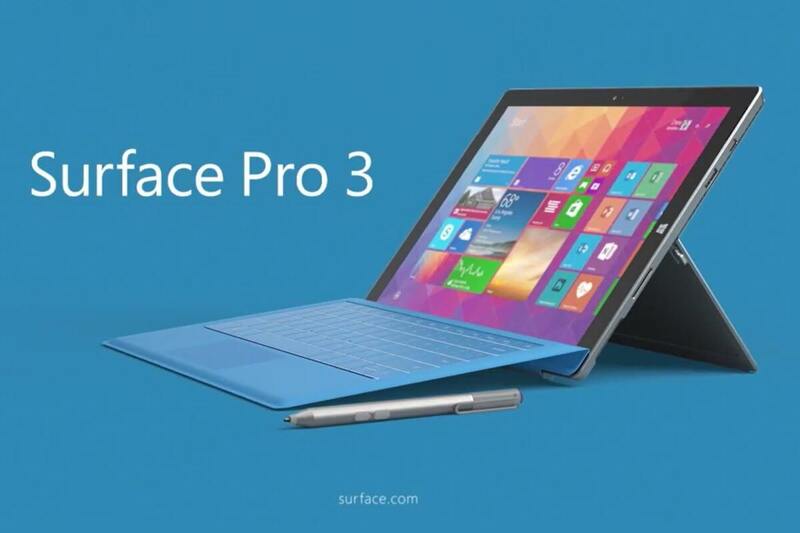 In this article, we will provide you a detailed Microsoft Surface Pro 3 Review. Before moving on to the review, let us have a glimpse of the pros and cons in brief. Microsoft Surface Pro 3 is an excellent tablet. But, it won’t be appropriate to consider it as a replacement for your old laptop. If you want a more profound laptop experience, then this might not be the right choice. Moreover, it is slightly overpriced as compared to some great laptops in the market. Hence, if you are looking for a laptop, then you should not consider it as the right choice. However, if you need something that is easy to carry and performs your routine tasks of a smartphone as well as a laptop at the same time, then it is the best option. It is also not recommended for those who are seeking a low budget tablet. The Microsoft Surface Pro 3 comes in 5 specifications based on processor, SSD, and RAM and their price vary with each version. The cheapest version features Intel i3 processor, with 64 GB SSD and 4 GB RAM, which is offered at $800. The next version comes with an i5 processor with two different specifications. The first one comes with 4 GB RAM and 128 GB SSD, available at only $1000. Another one features 8 GB RAM and 256 GB SSD, available for around $1300. Then we have the ones with an i7 processor and 8 GB RAM with 256 GB SSD and 512 GB SSD, priced at $1550 and $1950 respectively. Though it seems a little bit expensive device, its features and functionality will worth its cost. Though it is expensive than other tablets available in the market, Microsoft has not compromised with the build quality. The body of the Microsoft Surface Pro 3 including the back panel and the edges are made of magnesium with a matte finish on the back. There is no use of plastic in its body, which makes it more durable than the other expensive devices these days. The bead blasting is perfect. It successfully complements the sophisticated look of the product. Hence, the product is very light and easy to carry. The Microsoft Surface Pro 3 comes with a beautiful design. The charging point and the charger are elegant and attractive. It features a giant gorilla glass at the front and thin glass cutouts for the stereo speakers on both sides of the device. Coming to its backside, the kickstand makes the device look a little unattractive as it appears like a long line running down the middle of the device. However, the touch and look of the product feel very high quality. 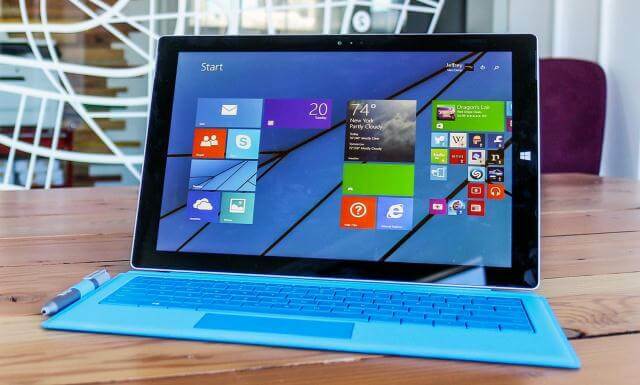 The initial versions of the Microsoft Surface Pro 3 were launched with Windows 8.1 Pro. After the release of Windows 10 in 2015, new versions come with the pre-installed updated Operating system. The older versions do have the option of upgrading the Operating System. With the Windows 10 update, a brand new feature was available in the Microsoft Surface Pro 3 which makes it easier to use it in Tablet mode; it was not present in the earlier OS. The surface pen is very smooth and good to use. It comes with three buttons. The first button launches the Onenote. The other two buttons enable the eraser and the function menu respectively. The Surface Pen connects to the device through Bluetooth and runs on battery. The battery life of the pen is good enough. One of the very interesting features is the coordination between the pen and the OneNote software. However, the Surface pen lacks corner accuracy. Apart from this, no other issues were noticed in the pen. 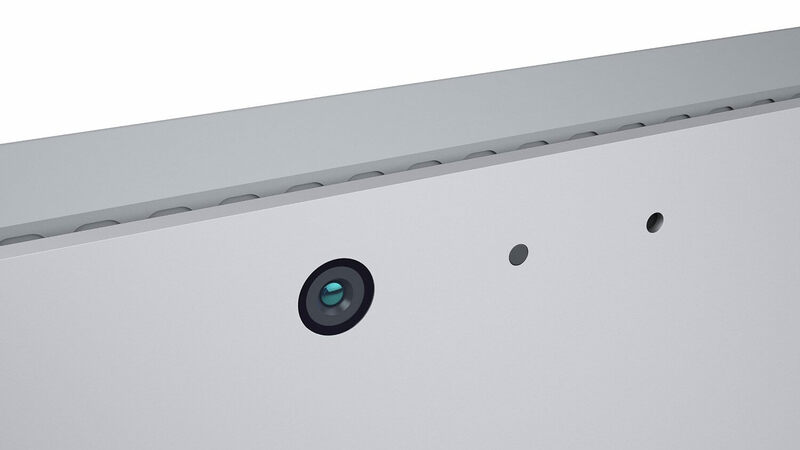 The Microsoft Surface Pro 3 has both front and rear-facing cameras. The cameras are not that great. They are okay for doing small jobs. The front-facing camera produces sharp and detailed videos, which are ideal for conference calls. The Microsoft Surface Pro 3 features an 802.11ac Wi-Fi and Bluetooth 4.0 for wireless options. The microSD slot supports extendable card of up to 128 GB. A single USB 3.0 port is present. One of the limitations is that the microSD slot is not a very good one for the functionality of a laptop, but it is good for a tab or phone. Also, it supports 4k videos at 30Hz only, which is another limitation. When it comes to having display ports, the Surface Pro 3 can connect up to three external displays. The device comes with a single Mini Display Port output. In order to connect two external displays, one can additionally use a secondary Mini Display Port on a docking station accessory. The Microsoft Surface Pro 3 is undoubtedly a powerful machine when it comes to performance. With its 1.9GHz Core i5 processor, it is capable of performing processor intensive tasks at quite an impressive speed. It is no less than the MacBook Air. Microsoft has released a few updates to improve the stability and performance of Microsoft Surface Pro 3 since its release. These new releases assure bug fixing and steady tweaks. There is also an addition of a new graphics driver that guarantees to enhance the 4K video playback and YouTube videos. A few issues were also noticed in the Wi-Fi, which was fixed by a software update. In short, with these updates, the performance of the Microsoft Surface Pro 3 has considerably improved. Microsoft keeps its performance consistent with updates from time to time. The Microsoft Surface Pro 3 doesn’t have any noise or heating issue. The sound is considerably minimal which can be heard only in quiet surroundings. As far as the heating is concerned, the heat dissipation process is very smooth keeping it significantly cool even during heavy use. The Microsoft Surface Pro 3 has commendable speakers. They are a big improvement over the previous versions. The front-facing speakers reach decent volumes without any distortion. The battery life of the Microsoft Surface Pro 3 is not very impressive. It has an average battery life of around 9 hours. Other competing devices in the market such as MacBook Air, Dell Venue 11 pro support a better battery life as compared to the Microsoft Surface Pro 3. The layout of the keyboard is quite impressive. The size of the keys is good enough for a comfortable typing experience. The keyboard is backlit too. The touchpad of the Microsoft Surface Pro 3 has seen some major improvements. The touchpad is larger than the previous versions. Because of the large touchpad, it is easier to use, giving the users a smooth and comfortable experience. Overall, the touchscreen feels superb and accepts finger input without any issue. With the above Microsoft Surface Pro 3 Review, it is evident that Microsoft has definitely delivered an outstanding piece of technology. It is undoubtedly a powerful and versatile device produced by Microsoft. It might not successfully fulfill your laptop needs, but surely one of the best hybrid devices existing in the market.